This week we take a trip around the children's room, where we've selected three new children’s books that we really love. They are great as gifts or a treat for your little ones. First up are two shop picks that we all loved as soon as we got them out of the box, ‘Make It! Rocket’ and ‘Make It! Robot’ by Mike Brownlow. 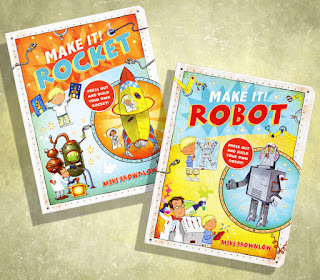 They’re fab new stories that are perfect for children 5+. Not only do you get a lovely story about Hugo and his family of inventors but there are press out pieces inside so you can build your own rocket or robot too – we love it! With all the bunting and flags going up around Abingdon, we're all feeling very patriotic, so Julia has selected a Jubilee gem, ‘J. 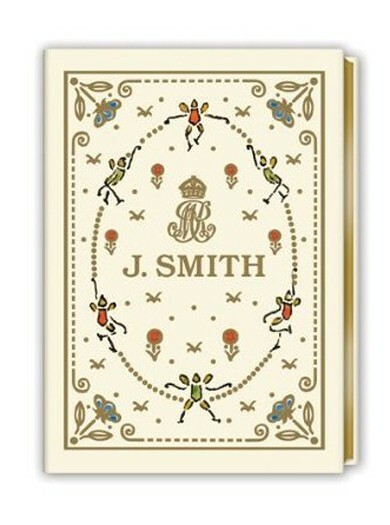 Smith - A Fairy Story’, a miniature book reproduced from the Queen’s Doll’s House Library. In 1922, various authors were commissioned to create miniature books for the library of Queen Mary’s Dolls house at Windsor Castle. 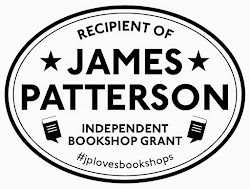 Over 200 were created - all about the size of a matchbox - and Walker Books have now re-created one of these books especially for the Queen’s Jubilee. 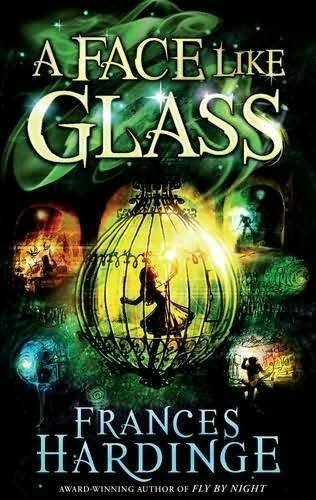 Finally, one of Ellie’s favourite children’s book this year, and just out in hardback, is Frances Hardinge’s latest stand-alone novel for children 9+, ‘A Face Like Glass’. "A riveting read, Frances Hardinge creates a truly imaginative and exciting world. I really love Frances’ books, which are all so different and thrilling I can’t put them down. 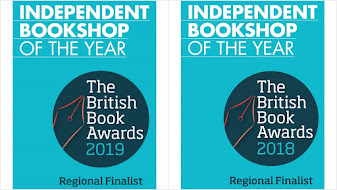 I also recommend trying ‘Fly By Night’ and ‘Twilight Robbery’ if you’re after a paperback, which follow the feisty and impetuous Mosca Mye and her friend Eponymous Clent..."